In 2013, Tom Hughes of Weaver Hall Museum in Cheshire got in touch with Seven Stories about a possible loan of work by Robert Westall. 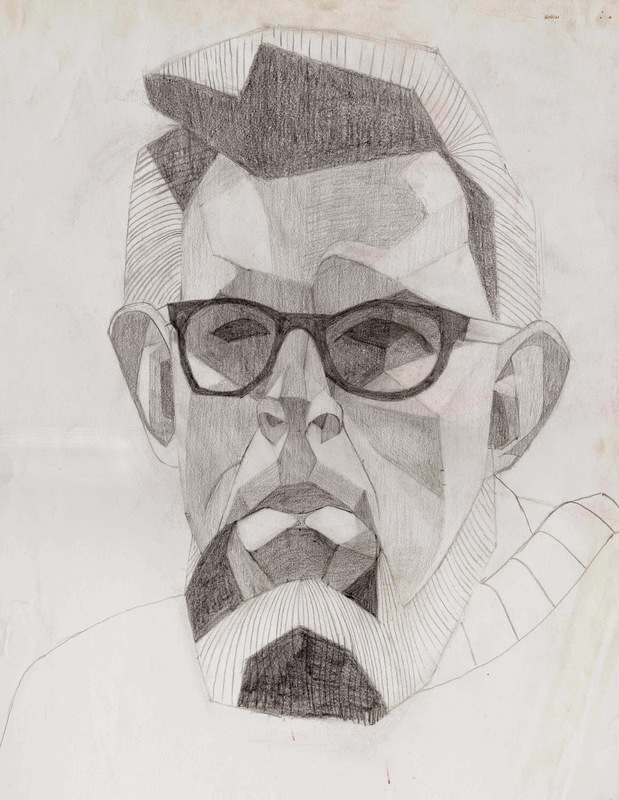 The exhibition explore's Westall's connections with the area local to the museum, and on show are a number of items from the Seven Stories collection never before displayed. Robert Westall, as well as being a fantastically well loved children's author, was also incredibly active in his local community, working as a head teacher for a number of years, writing a column for the local paper, as well as being instrumental in the saving of historic parts of Northwich. Weaver Hall Museum is one of the buildings Westall helped save, and it is only apt that he is recognised in this special exhibition. 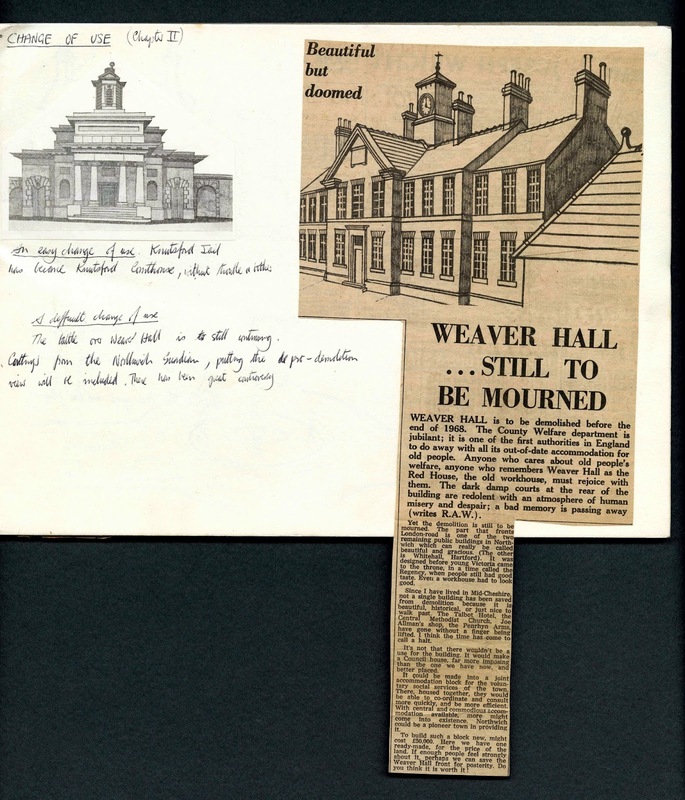 This is an article about saving Weaver Hall, written and illustrated by Robert Westall, c. 1967 and saved in an educational book on town planning he was working on. It was part of a campaign to save the Hall from being demolished. Tom, curator of the exhibition, is incredibly knowledgeable about Robert Westall, and added some fascinating local details to parts of the collection. Although Westall is known for many of his books set in the North East, he lived much of his life in Cheshire. Self portrait by Robert Westall. Although not known for illustrating children's books, the Seven Stories Collection shows the impressive graphic posters he made for school plays, personal sketches and illustrations for articles in the local newspaper. The exhibition has been on display since 12th April, and is on display until Sunday 14th September at Weaver Hall Museum in Cheshire. Click here for more details about visiting the museum. Watch this space for more details of Seven Stories loans, we are currently working with the Granary Gallery in Berwick on a display linked to the new Berwick Book Festival. Works have been chosen from the Seven Stories Collection to display alongside illustrators from the area, including Mick Manning & Brita Granstrom, Helen Stephens, Gerry Turley, and Cara Lockhart Smith. 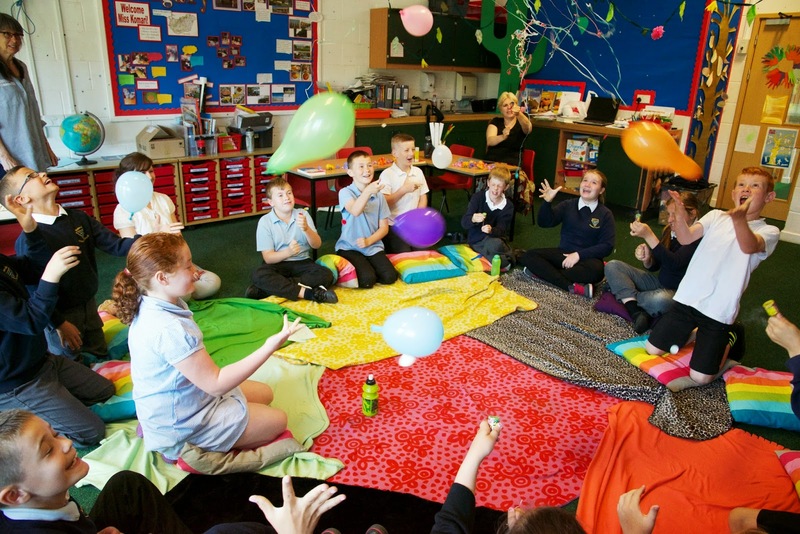 Thanks to funding from the Equitable Charitable Trust, Seven Stories has recently been able to share exciting examples from our Collection with the lucky Year 5 class and teachers at Waterville Primary, Newcastle. For seven weeks the children have been playing with words, celebrating making mistakes and looking at archive material on their journey to becoming motivated and confident writers. Students working with facsimiles of work from the Seven Stories Collection. 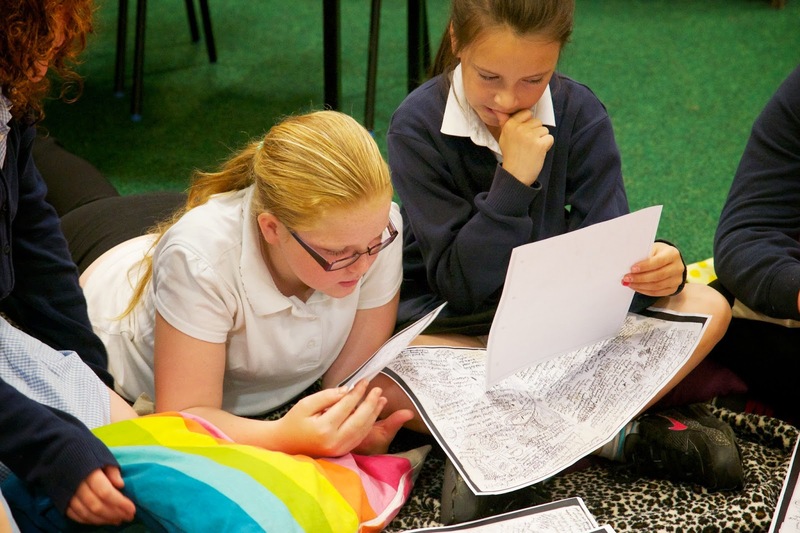 The class were introduced to doodles, photos, notes & research from the archives of David Almond, Philip Pullman, Berlie Docherty and Sarah Garland among others, and saw how much the styles of different authors vary. Character notes by David Almond for Heaven Eyes, Hodder Children's Books 2000. David donated work for two of his books, Heaven Eyes and My Dad's a Birdman, in 2008. The Seven Stories Collection also holds the artwork by Polly Dunbar for My Dad's a Birdman. 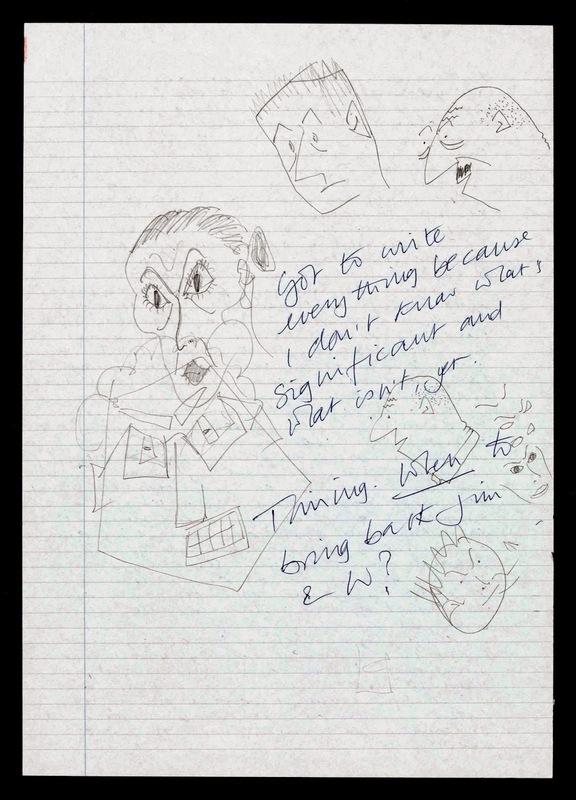 Handwritten notes and sketches by Philip Pullman. Created whilst writing The Tiger in the Well, Knopf 1990. 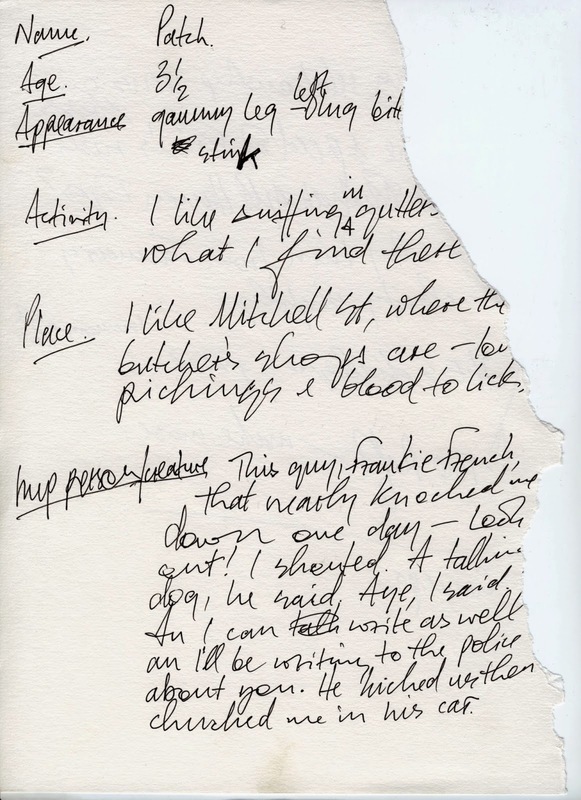 Philip donated work for several of his books in 2002, including typescript drafts of Northern Lights and The Subtle Knife. 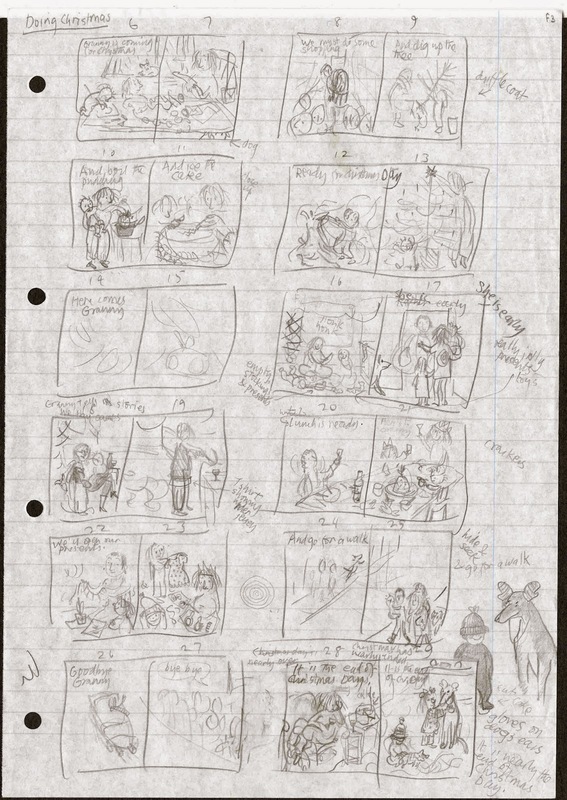 Pullman often works by writing on only one side of the paper, and using the back side of the previous page for notes and scribbles to help his flow and to work out ideas. After marvelling at how messy ‘real’ writers are, the children got messy themselves! 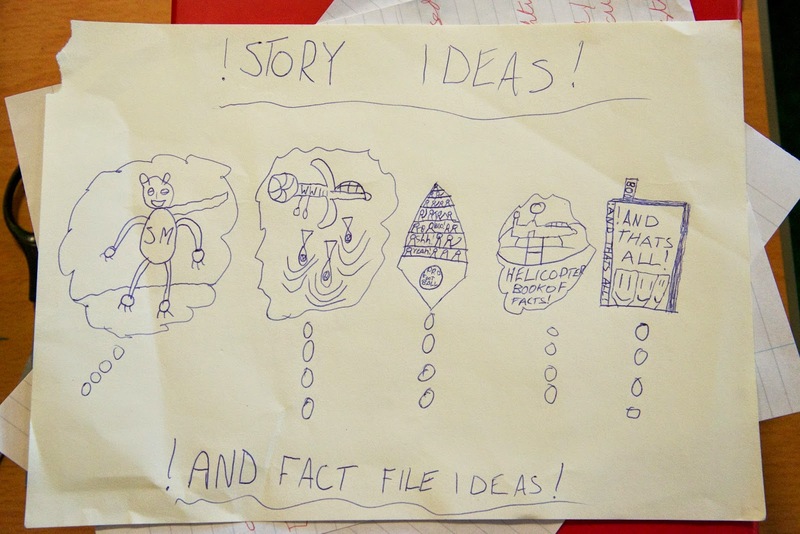 They experimented with all the different stages of the writing process - from the initial marks in a notebook to the final draft – and tried out the authors’ methods to work out which styles suited them best. Seven Stories staff provided inspiration for all the senses through illustrations, music and drama (and even some tasty strawberries! 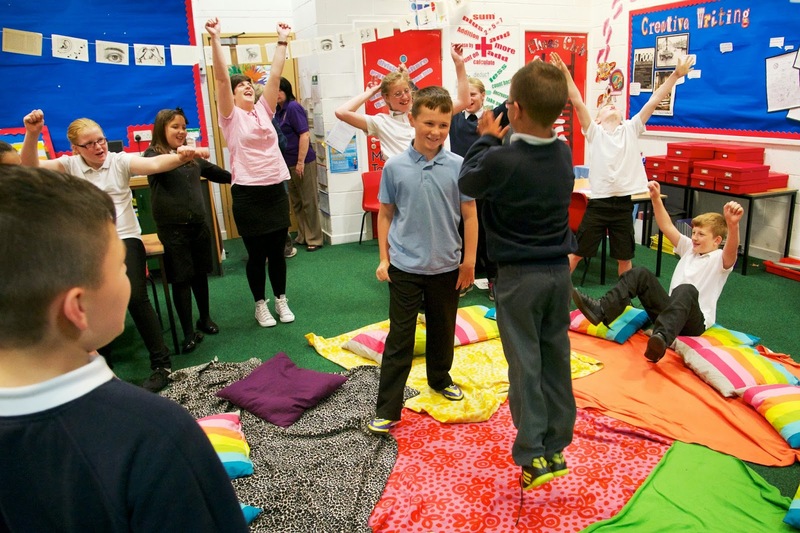 ), and also worked with teachers to help them to encourage some truly creative writing with their classes.